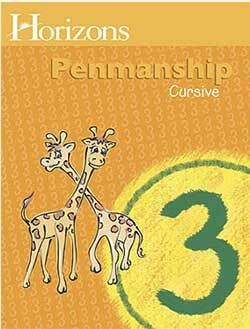 Practice letter formation, spacing, capitalization, punctuation, and pencil grip. Copy Bible verses from the New International Bible and excerpts from important historical documents. Learn more about this program: Scope and Sequence. 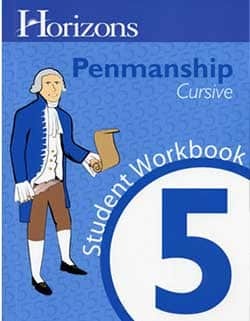 Each set includes a Teacher’s Guide 6 and one Student Book 6. Additional student books are available separately. 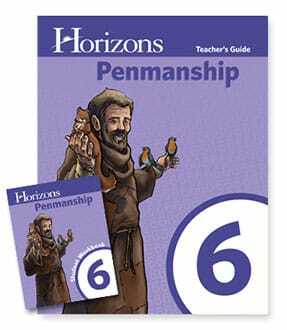 Give your student practice in handwriting with words of wisdom from around the world in Horizons 6th Grade Penmanship. 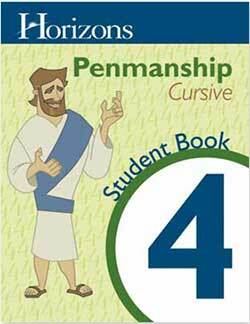 Featuring 160 lessons in one student workbook and a teacher’s guide, this course encourages students to improve their manuscript and cursive skills by copying passages from Aesop’s fables, proverbs, epigrams, riddles, prayers, and more. Students also write letters in other languages and compose words of wisdom. Horizons 6th Grade Penmanship Student Book teaches students to maintain attractive cursive and manuscript by copying words of wisdom from around the world, composing wise words, and writing in other languages. 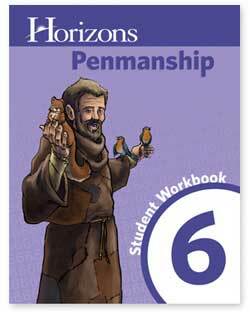 The student workbook 6 features 160 lessons and includes handwriting tips, letter formation guides, and worksheets for each daily lesson. 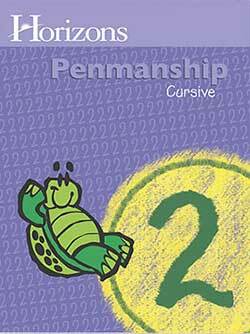 Teach your child to improve his or her handwriting with words of wisdom from around the world. 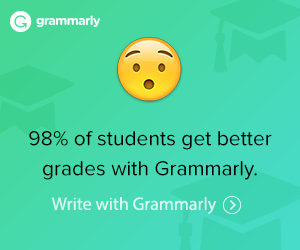 As they practice cursive and manuscript, students copy passages from ancient writings classic literature and words in other languages. 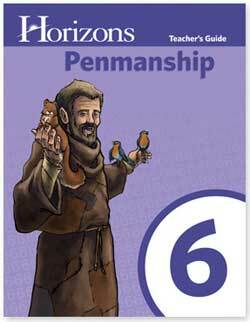 The Horizons 6th Grade Penmanship Teacher’s Guide includes a scope and sequence, teaching tips, suggested extension activities, and more.